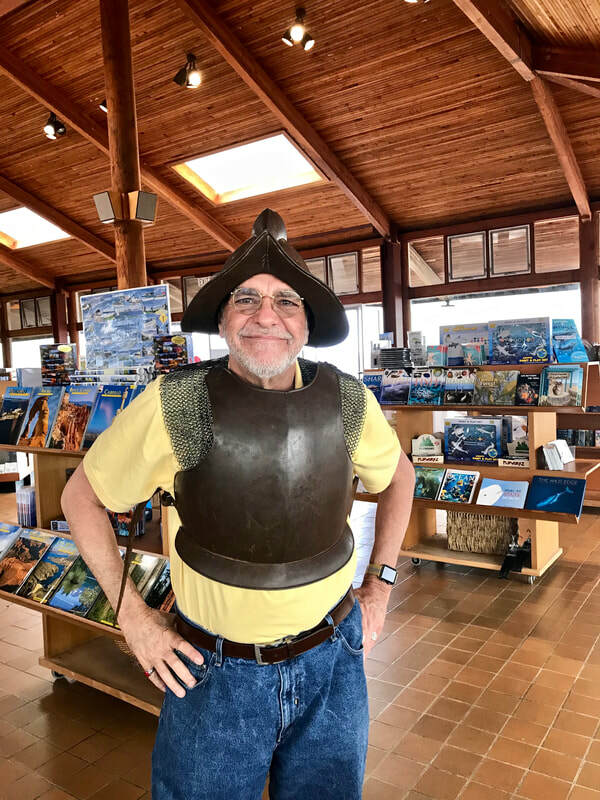 On the East Coast, we think of Juan Ponce de Leon and Pedro Melendez de Aviles, if we think of them at all. 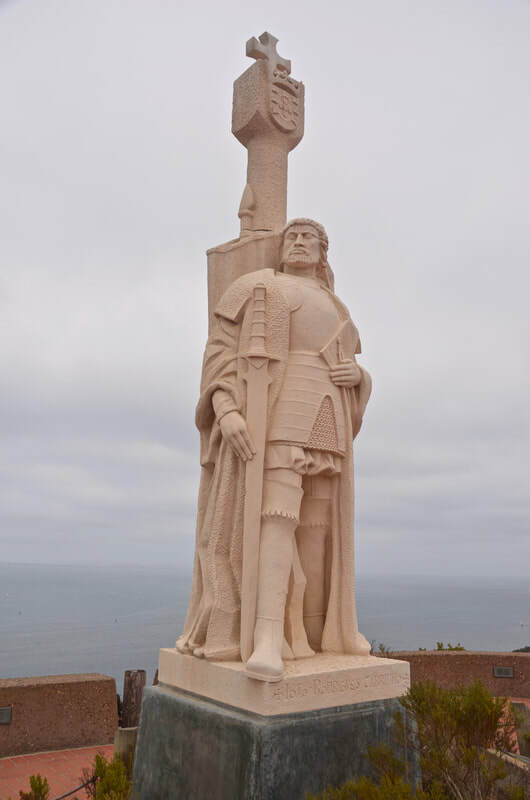 But on the West Coast, there is another Spanish/Portuguese conquistador who gets much more attention. 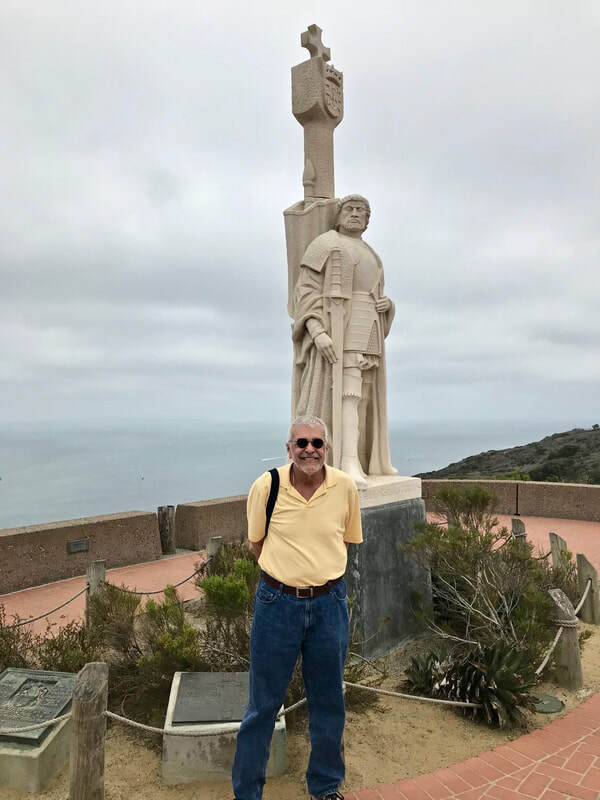 De Leon discovered Florida in 1513 and Menéndez de Avilés established St. Augustine in 1565, but in 1542, Juan Rodriguez Cabrillo became the first European to explore the coast of California. 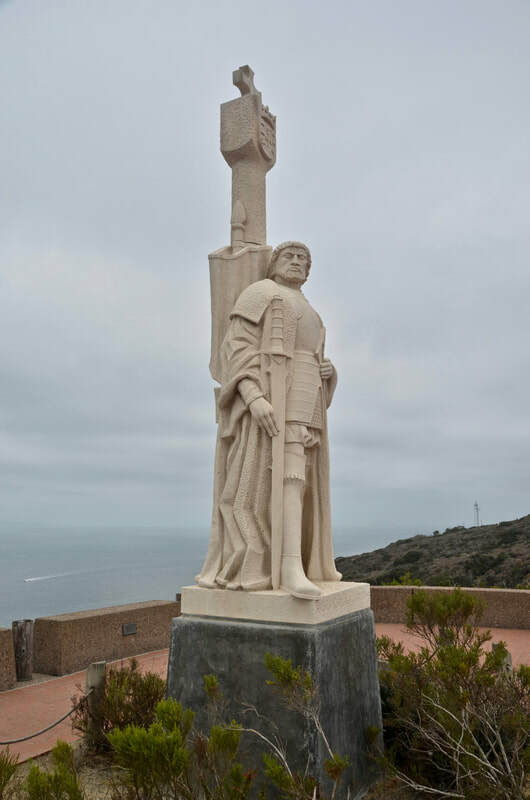 Although he is believed to have been of Portuguese descent, Cabrillo was a soldier and explorer in the service of Spain. 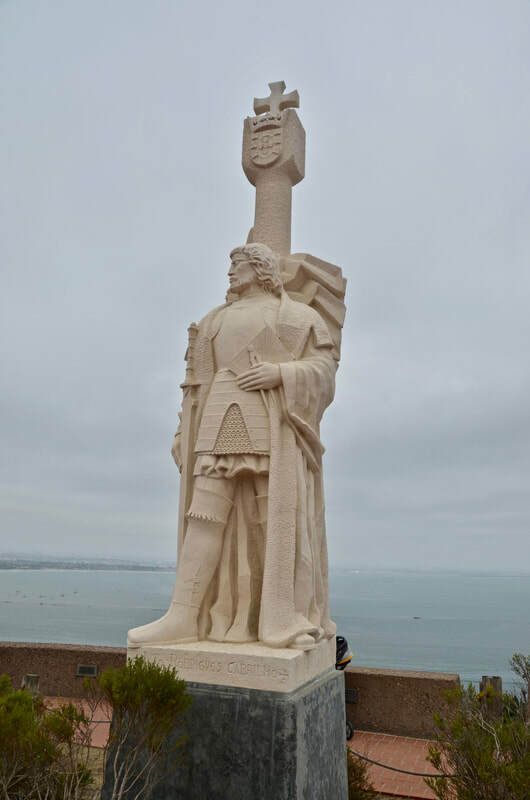 He and his Spanish crew landed in San Diego Bay on September 28, 1542, and the Cabrillo National Monument commemorates their achievement. 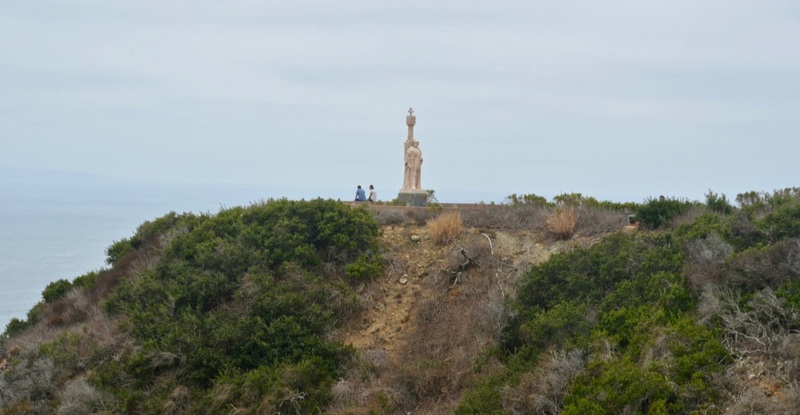 Cabrillo's statue, overlooking San Diego Bay and the Pacific Ocean, on top of a hill at the tip of the Point Loma peninsula in San Diego, is quite impressive, spectacular! 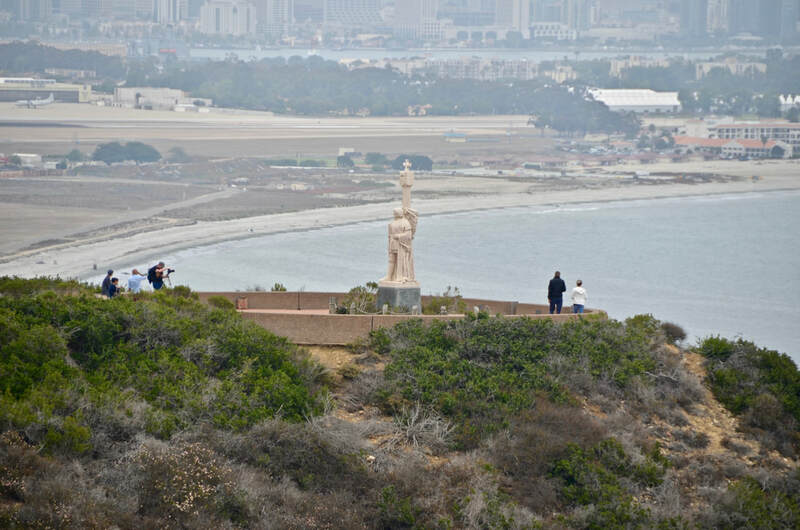 ​Administered by the National Parks Service, the Cabrillo National Monument, recognized both as a California and U.S. historic landmark, is a huge San Diego tourist attraction. 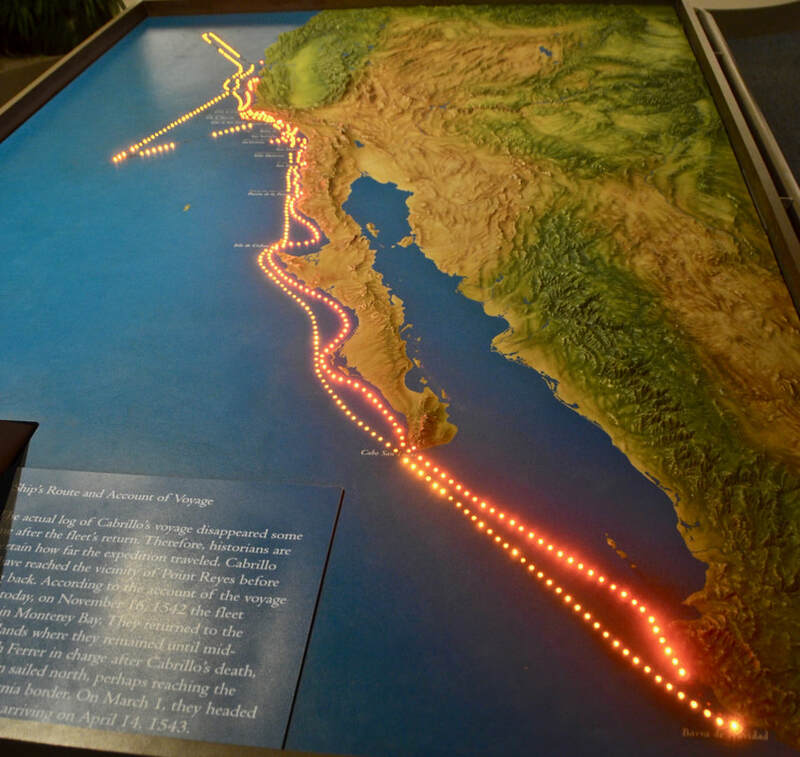 It features a visitors center with a small exhibit hall showcasing wonderful graphics and information about the Cabrillo expedition. 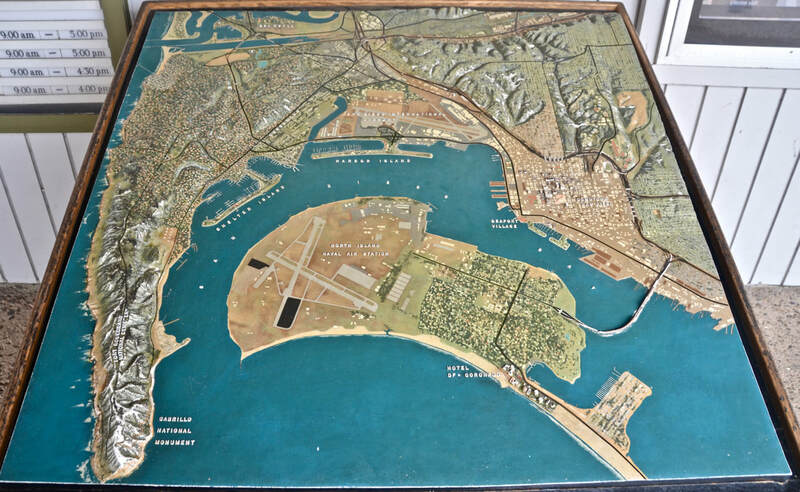 His ship - "San Salvador"